1. General. These Terms and Conditions (“Terms”) constitute the entire understanding and agreement between the Customer and Adore Bridal relating to the purchase of the garment alterations described on the invoice (the “Services”) and supersedes and replaces any and all prior agreements, whether written or oral, that may exist between them with respect thereto. These Terms may be amended only in a writing signed by both the Customer and Adore Bridal. 2. No Refunds. ALL SALES ARE FINAL. No refunds, exchanges, returns or cancellations are permitted once an order is placed with Adore Bridal by Customer for Services. 3. Fittings; Acceptance. 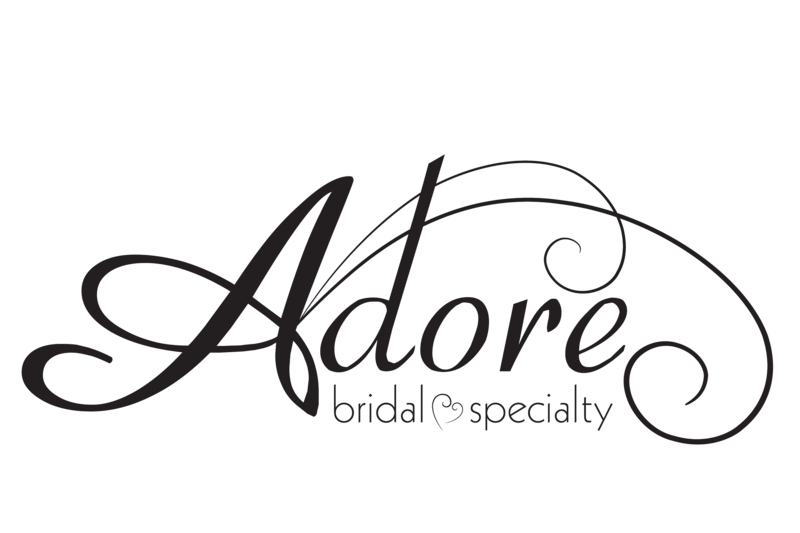 Adore Bridal will begin to perform the Services only upon receiving full payment from Customer for the Services. Services provided are based on the measurements provided at the time of Customer’s first fitting. Any measurements set forth on the invoice shall be conclusive evidence of the Customer’s measurements at the time of the first fitting. Adore is not responsible for the cleaning of a sample sale gown. Any changes in Customer’s measurements after the first fitting which cause additional or different Services to be performed will be subject to additional charges. If the Services include any customization in the design of a garment, the Services will be based on the information provided at the time of Customer’s initial request for such customization. Any changes in the design by the Customer after this initial request shall be subject to additional charges. Unless further alterations are required and, if applicable, additional charges are paid for such further alterations, the Customer shall remove its garments from the store immediately upon completion of the second fitting. Acceptance of and satisfaction with the Services shall automatically be deemed to have occurred upon the earlier of: Customer signing a Pick Up Slip or removal of the garment from the store by Customer or Customer’s representative. If Customer fails to schedule and appear for a fitting or otherwise pick up Customer’s garments within the time period set forth above, a twenty-five dollar ($25.00) per week fee will be assessed and billed to Customer, in addition to any other rights and remedies Adore Bridal may have at law or hereunder. All accounts must be paid in full before Customer’s garments may be removed from the store. If Customer is unable to pick up the Customer’s garments, it is the Customer’s responsibility to notify Adore Bridal and provide the name of the person who is authorized to do so. Once garments are removed from the store, Customer bears all risk of loss as to such garments. Any alterations requested, whether additional or for the first time, will be charged a rush fee if requested within thirty days of the Customer’s wear date. The rush fee for bridal garments is fifty dollars ($50.00), and the rush fee for non-bridal garments is twenty-five dollars ($25.00). 4. Cleaning; Steaming. Adore is not responsible for the cleaning of a sample sale gown. If the garment was purchased at Adore Bridal, a final steaming of the garment is included in the alterations price. No steaming can be done of garments that have been taken out of the store and had any other alterations or adjustments made by any other party. 5. WARRANTY DISCLAIMER. CUSTOMER ACKNOWLEDGES ADORE BRIDAL MAKES NO GUARANTEE AS TO THE FIT OF ANY GARMENTS BEFORE OR AFTER SERVICES ARE PERFORMED. UNLESS OTHERWISE EXPRESSLY PROVIDED HEREIN, ALL SERVICES ARE PROVIDED AS-IS, AND ADORE BRIDAL HEREBY DISCLAIMS ANY AND ALL REPRESENTATIONS AND WARRANTIES, EXPRESS OR IMPLIED, INCLUDING WITHOUT LIMITATION THE WARRANTY OF MERCHANTABILITY, FITNESS FOR A PARTICULAR PURPOSE. 6. LIMITATION OF LIABILITY. IN NO EVENT WILL ADORE BRIDAL BE LIABLE FOR ANY INDIRECT, INCIDENTAL, SPECIAL, PUNITIVE, CONSEQUENTIAL, EXEMPLARY, OR SIMILAR DAMAGES, INCLUDING, WITHOUT LIMITATION, LOST PROFITS, LOSS OF USE, PAIN AND SUFFERING OR MENTAL ANGUISH, RELATED TO OR ARISING OUT OF THE SERVICES. IN NO EVENT WILL ADORE BRIDAL BE LIABLE FOR ANY DIRECT DAMAGES, RELATED TO OR ARISING OUT OF THE SERVICES IN EXCESS OF THE PRICE PAID BY CUSTOMER FOR THE SERVICE WHICH IS THE SUBJECT OF THE CLAIM. 8. Governing Law; Enforcement. These Terms shall be governed by the laws of the State of Illinois, without regard to principles of conflicts of law. In the event of a dispute relating to the Services, Adore Bridal may recover from Customer all expenses and attorney fees it incurs in enforcing these Terms, including costs of collecting any unpaid amounts due from Customer. All legal actions relating to the Services purchased hereunder shall be adjudicated in the circuit court for Tazewell County, Illinois.